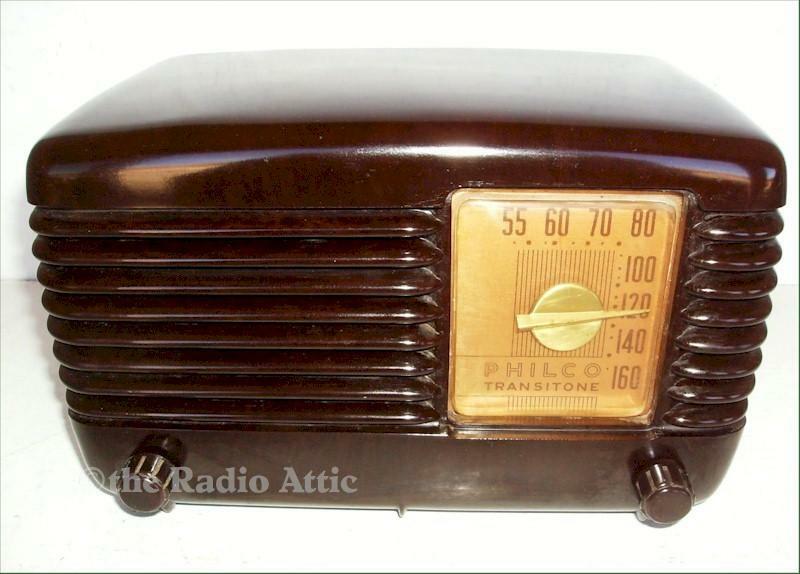 This simple and sharp looking radio was made in 1949. It was part of the Transitone line that was first introduced in 1940. The set is in excellent condition with no cracks or chips in the Bakelite cabinet. It retains the original knobs and dial cover. The set has been serviced and plays well.10-1/2"W x 6-1/4"H x 6"D.